Survival horror game The Intruder is intended to be an authored game and Roy Theunissen claims responsibility for everything that’s good and bad about it. So it’s fitting that a dream held the answer to one of his most troubling questions. That was an awful answer. Suddenly all the hard work I put into my game felt uncoordinated and uninspired. I looked at screenshots of my game and what I thought was innovative and new suddenly looked like a Half-Life 2 mod made by a student, because that’s what it was. A long time passed and I did all kinds of tweaks to get the environments to feel compelling, but none of it seemed to work. 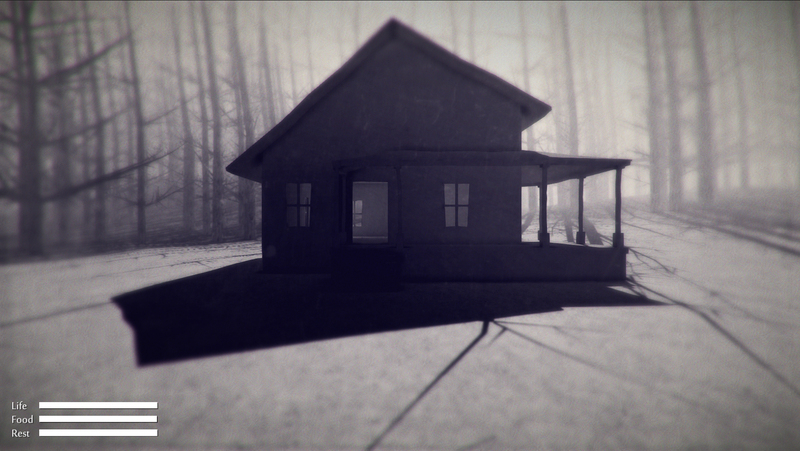 On top of having to make an interesting environment I had to make one that was somehow also scary in broad daylight, due to the game mechanics requiring a real-time day/night cycle. As a solution to that I came up with the idea of having dense fog. Just an env_fog_controller with the density cranked up to eleven, right? Well, it didn’t feel quite right. Not so much creepy landscape, more like being stuck in a glass of cloudy water. I didn’t know what I wanted, let alone how to get there. At some point I even started dreaming of my game. Mostly about my struggles developing it, until one night I had one that was different: I had a dream where I was in the game. It seemingly took place in an old, overgrown, dilapidated garden house with the sun having already set and only faint remnants of sunlight reflecting bluishly from dense clouds. Through the window I could see a tall, thin, distorted black silhouette slowly approaching me and then I woke up. That’s when I realized what the game world is supposed to feel like: it should be empty and alone, like a bad memory, devoid of colour and a pungent sensation of absolute hopelessness. From that day I knew what the art style of the game was supposed to be: a nightmare. Roy Theunissen studied Software Engineering with a minor in Game Design & Technology. He’s also skilled at writing shaders and procedural animation.